We know sugar isn’t great for us, but it’s just so hard to quit. 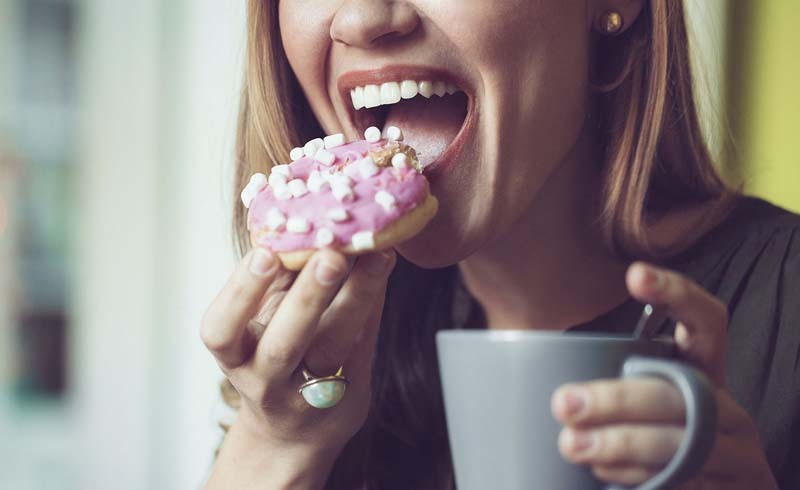 As it turns out, it’s not just our willpower: According researchers at the University of Michigan, sugar can be addictive in a similar way to drugs and alcohol (including withdrawal symptoms). 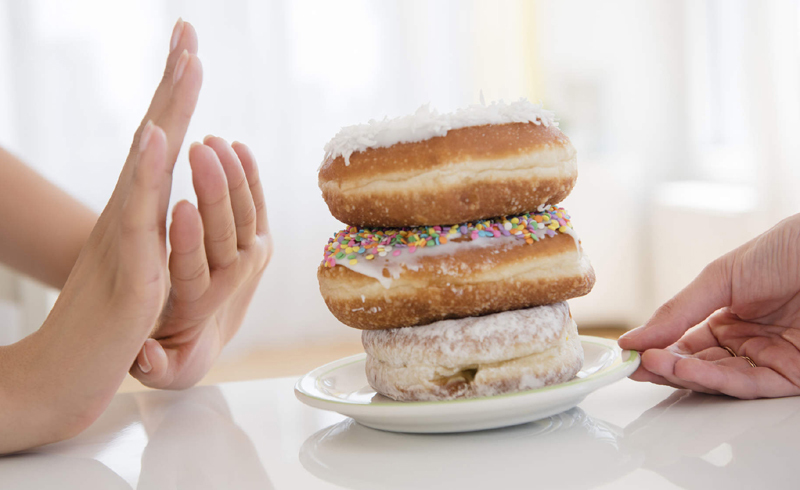 We checked in with Dr. Jim LaValle, R.Ph., C.C.N., a clinical pharmacist, author and board-certified clinical nutritionist, for his tips on cutting back on sugar without going crazy. Just because you aren’t stuffing your face with cookies and candy and syrupy Starbucks drinks doesn’t mean you aren’t consuming sugar. “Cough syrups, chewing gum, tomato sauce, baked beans, soups, salad dressings and lunch meats often contain hidden sugar,” Dr. LaValle says. Some of the biggest culprits, he added, are fresh fruit smoothies, sports drinks and bars. Read those ingredient lists, friends. Per Dr. LaValle, stress can make you crave sugar, since eating sweets can help increase production of serotonin, a calming neurotransmitter. To avoid a stress-induced candy binge, Dr. LaValle suggests taking “stress-balancing supplements that contain ingredients like rhodiola, ashwagandha or B vitamins and GABA, which can help counteract stress hormones and support better serotonin production without having to resort to sweets.” Beyond supplements, here are some more easy ways to de-stress your life.